Nature has optical surprises in the colors that you see in birds’ feathers, insects, fish, and seashells, many flowers also have a pearly, dewy sheen to them. Consider the iridescence of a snail’s trail or a silvery spider’s web. Other things that also have a sparkle, or glow depending on the light, a silvery or golden moon, clouds aglow at sunset, rainbows, the sparkle of snow and ice, and glint of water reflections. Don’t forget the sheen of metals like pewter, copper, silver, and gold. There are also mythic subjects that are often thought of as having a special iridescence to them such as fairies, dragons, mermaids and other fantasy figures. 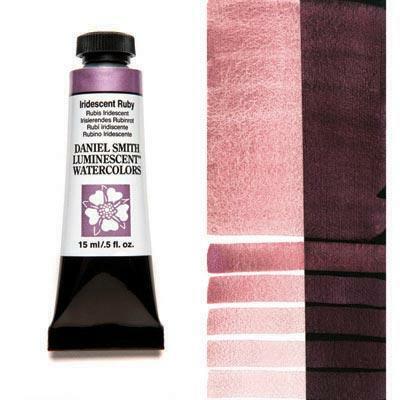 When painting these subjects, having the right paint gives you the special effects that make your paintings come alive which is why DANIEL SMITH makes Luminescent paints! The pigment includes mica, which are thin transparent particles coated with highly reflective metal oxides. When you paint with these watercolors, they’ll create a sense of depth and a sheen that changes with the angle of reflection and observation. Luminescent Watercolors show beautifully as glazes over darker colors, and when mixed with similar colors, they add a hint of their luminous glow. You can mix Luminescent watercolors with your other watercolors to add some of their special effects to the mix. 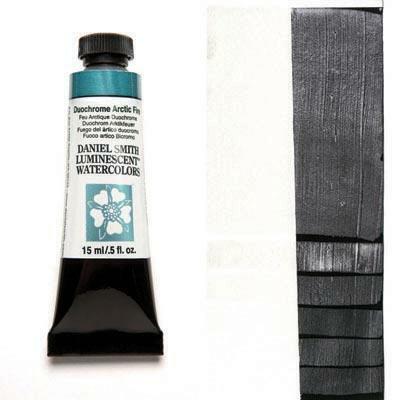 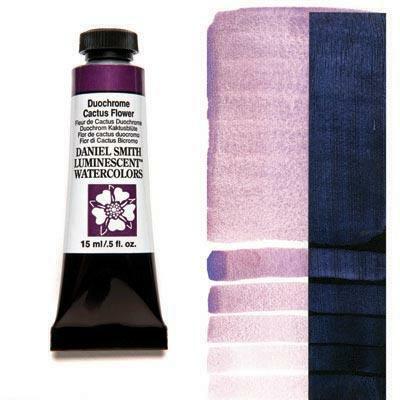 What are the differences between the 4 types of Luminescent Watercolors? Iridescent: Reflection – particle of light hits paint/pigment matrix and bounces back. Much like a mirror. Interference: Refraction – particle of light enters the paint/pigment matrix and scatters light. Duochrome: is one pigment that bounces between two colors. Pearlescent: adds opalescence – like an opal or pearl – to the color it’s mixed or glazed with. DANIEL SMITH Luminescent Watercolors add special effects to paintings whose subjects have a glow, sparkle or iridescence that no other paint can replicate.